4G in general is supposed to give more than 10 times the 3G speeds. Essentially in India, we should be getting anywhere from 20-40mbps of download speed on 4G. However Vodafone things that 3-5 mbps is good enough for Indians. Why this discrimination? Below are the 2 speedtest’s done on 4G from various locations. Hard to believe that we are not even getting 3G speeds on 4G. I don’t want to make this post sound like a advertisement but consider this as a public service announcement. 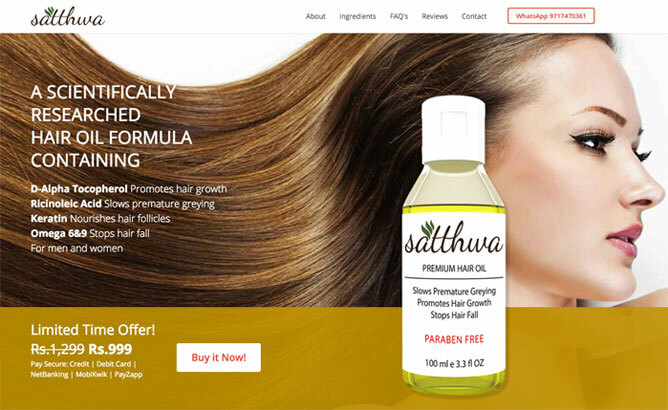 If you are having hair fall, premature greying or hair thinning, there is a new product which actually works. This product does not come from a big brand company but from a startup. If you or anyone you know is having hair fall issues, ask them to visit and buy the hair oil from there. it’s for both men and women. These days we do so many transactions online and offline and it’s getting hard to keep a track of our expenses and at the end of the month, there are several transactions which we are sure we did not do and yet they show up on our bills. If you have an Android phone then there is some good news for you. Recently launched Faayda App will help you track your expenses, bills and more. It automatically reads your transaction sms and adds the transaction and bills to the app. Have a look at the intro video below and you can download the Faayda app from the Google Play Store. I came across this article in HT by Soumya Pillai which stated that 95% of the pollution check booths across Delhi are unable to conduct actual test and just hand out certificates. This does not come as any surprise as we have been getting these test for the last 10 years but see many vehicles on the roads still polluting heavily. The bigger question here is that, these test are just to collect money for the transport ministry? So they do any good to check the pollution of the city (clearly not) and if so then why do we have to pay for these test over and over again? Modi Ji… What is the point of hosting mann ke baat, jab mann ke baat he nahi hoti. I remember you saying that you have removed corruption from the top level… then why are so many of your ministers are involved in corruption?